Throughout history mirrors have played an important part in our lives as both household objects and objects of decoration. The ancients created these mirrors out of polished obsidian stone all the way back in the year 4000 B.C. Polished copper was used in Ancient Egypt to create mirrors that were often made with a round face and contained emblems and ornamentation. However it was the Romans that introduced a mirror made of glass in the First Century, these mirrors were made from glass that was blown with a lead backing. It was the glass blowing technique that revolutionised the way mirrors were produced and Venetians in the 16th Century created a flat glass mirror in a time where Hand blown mirrors meant serious business, so much so that Venetians tightly guarded their secret to the extent that a craftsman faced imprisonment or even execution for breeching the secrecy of their technique! Only Fit For A King! Until the early 1800′s mirrors were a luxury item which only the nobility could afford, if there was anything fit for a king to collect it was the mirror. King Henry VIII and France’s King Francis I were both avid collectors of mirrors. The mirror was once literally worth its weight in gold and only the most affluent could hope to own a small example. 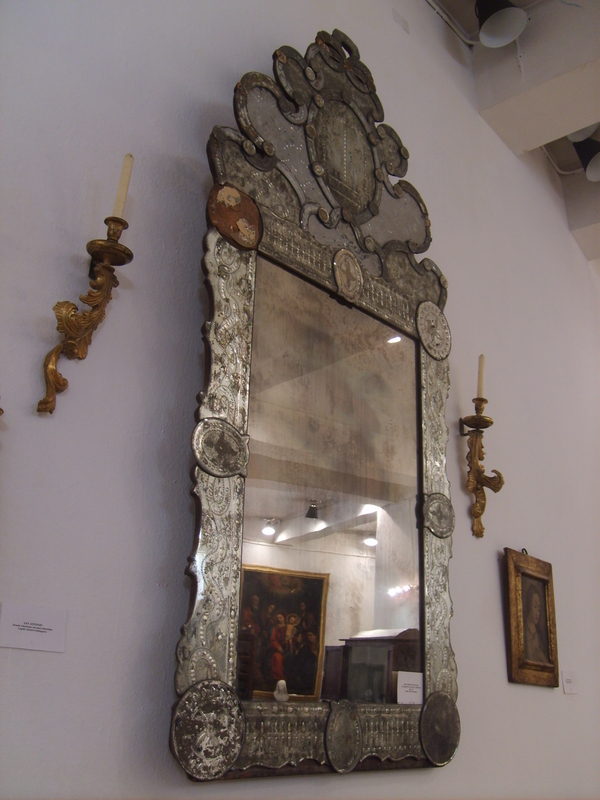 A medium-sized Venetian mirror was comparable in price to that of a naval ship or aristocrats country estate! The invention of the first modern mirror is credited to German chemist Justus von Liebig. In the early 1800′s he developed the process of layering glass with a silver salt and sugar solution, it was through this invention that mirrors then became manufactured on a much wider scale enabling ordinary people to afford to buy what was once a luxury item. During the Baroque and Rococo periods in the 17th and 18th Century frames were either inlaid with marquetry or elaborately carved or gilded, with designs ranging from the grandeur of the Baroque to the more fluid Rococo carvings best encapsulated by Thomas Chippendale. In the 19th Century frames made from plaster on a wire base were common, known as composition frames, these are highly decorative and attractive but are often found damaged and in need of restoration. English Rococo Mirror were often richly carved from giltwood in the early 19th Century. Today mirrors are very affordable for all and come in a wide variety of styles and sizes. 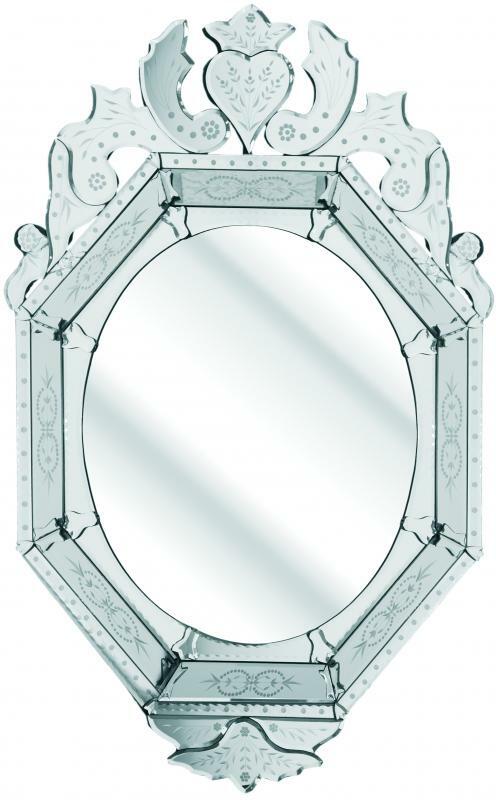 Many period mirror styles are still reproduced today. 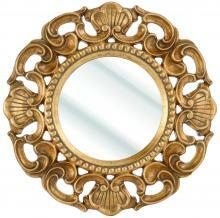 Such as the highly decorative Rococo mirror. Other styles include reproduction Venetian mirrors, Art Deco style to ultra contemporary styles like frameless all glass mirrors. This gives the consumer a broad selection when choosing to buy a mirror for the home, whether your taste is ultra modern or you want a mirror that fits in with the period style of your home there is a fantastic selection out there on the market. 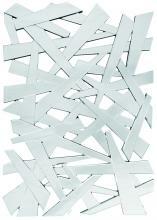 This information comes from Soraya Interiors, a supplier of wall mirrors to the UK. Soraya Williams has worked in the picture and mirror framing trade in North London for many years and takes great pride in seeing her mirror collections decorating people’s homes across the UK. Are you considering doing some painting around your house or office in the coming year? Here are ideas to consider based on 2013 Color ‘discussions’ by some of the leading paint companies. Sherwin Williams, Dunn Edwards, Benjamin Moore, Behr and Pantone all have published their predictions for what the popular paint colors and combinations of colors will be in the coming year. Dunn Edwards: A New Renaissance Influences Palette and Textures–Simply Re-invented, Simply Re-newal, Simply Re-imagined and Simply Re-vival. Behr: Watch this short video! Before you begin your painting, it is always a good idea to try your color choices on several walls in the room. Different walls have different levels of light reflection and the colors will look a bit different in different spaces due to the levels and types of light they will have. We recommend at least a 3′-0″ x 3′-0″ square on the wall. If the wall already has paint color on it, we also recommend priming before putting the new paint color up. 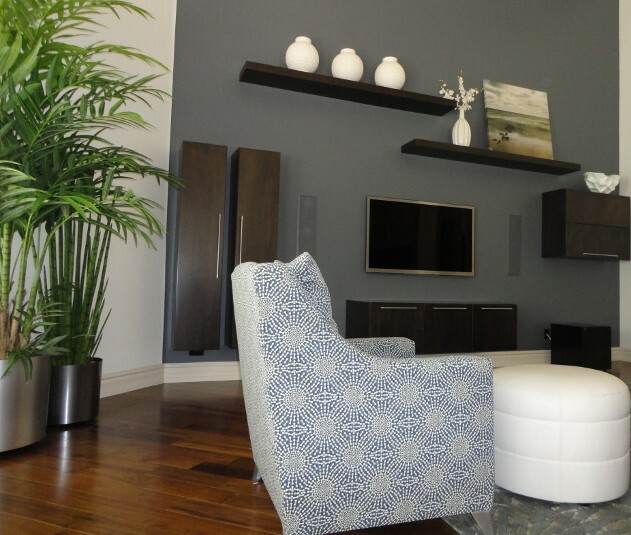 Of course S Interior Design is always available to help in the Phoenix metro area! I have said it many times — the children always come first. When there is a design budget and prioritization needs to occur, 9 times out of 10 the design of the children’s rooms will come before the master bedroom design. We are fortunate to live in a time where there are fabulous design options available to help us make our little one’s rooms look great. One of our new discoveries is Pink Taffy Designs. They have a great on-line children’s boutique where you can find everything from bedding to clothing for your little ones. 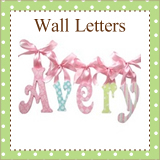 They are having a contest to win a set of their hand crafted wall letters. You can use the letters to spell out your child’s name, or a word of choice. They also make great gifts for new parents. Here is the link to click on to enter the contest. Hurry though, it is only available a few more weeks. Below is a guest post about over sized wall murals and how they can be used to make a statement in your home. 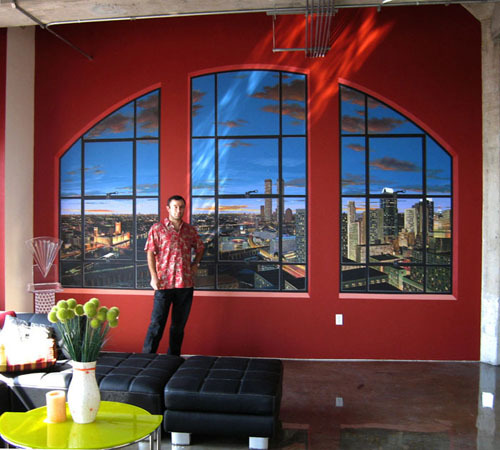 I recently used a wonderful full size (10′ high x 7′ wide) wall mural graphic in a client’s guest house casita. They wanted a tropical feeling so the mural depicted a beach scene. So a plain wall became reminiscent of the Caribbean beach in no time at all. These murals are quite a bit less expensive than having an artist paint a custom mural on a wall. Many companies will be able to use your own photography to create a customized graphic for you. Imagine a life-size picture from your last vacation spot, or your wedding photo…….. Creating a certain ambiance in your home can be achieved in many ways, but a very trendy, very artsy way to do this is to utilize full wall graphics with custom printed wallpaper. There are particular things to keep in mind as you decide what photo or art piece to use and where it will go. Keep in mind that you want this wall to be a focal point in the room, not the entire room being the wall. Even amateur photographers can have fun with this decorating tool as long as there is one favorite shot to be chosen from a collection. If you had gone on vacation to tour the castles in Europe or just captured the perfect beam of light on your favorite lake in the mountains, you are able to transform that masterpiece into a sizeable work of art. Be sure to carefully measure the wall you are working with to get the correct dimensions. Nothing is worse than having to improvise after receiving the wrong measurements back (and it is your fault). Now, you may be wondering, what wall is the best wall to use? Well, it is pretty simple. You want people to notice this amazing piece of art, correct? So if you walk into the room you are dressing up, what wall do you see first? If that one has a window, is there another that might work better? Perhaps you have a short wall, like a wide column that has no function at all. Make that one the statue you snapped a picture of in Cancun, just on a much more impressive, more pleasing to the eye version. Scan that award-winning painting you have stored away and upload it. Avoid using areas that people will naturally turn their back on or never see, unless it is done for your pleasure only. And a real window can ruin the effect a mural has on a wall. Unless it will incorporate your window into the picture, choose a different area. It will cut into the graphic and make it look incomplete. Imagine looking at the sunset on the beach and missing one-third of it. No, just pick a wall that is free and clear of obstacles like doors and windows. Color or black and white? That is completely up to your preferences. Personally, I prefer black and whites for personal photos, family shots, if the original colors were rich enough to make the shades vary enough for some depth. Scenery, I prefer to leave in color. They are very pleasing to the eye when they host an array of colors and can provoke emotions when they feel tangible. One of the main reasons people will put a mural up is to make a vacation or favorite place immortal to them…unchanging. Now, when incorporating a large graphic such as this, don’t forget that it is a part of your home and decorate the room as such. Unless it is a useless wall that you are coating for effect, place furniture in front of it. I’m not saying to stack bookshelves right through the middle, but a nice ensemble of couch, loveseat and tables that complement the theme of the photo will do wonders for y our sanctuary. It then makes it a part of what is going on and less like a museum artifact. Many put graphics up on staircases because they are so difficult to decorate unless you just do a “gallery” of family photos that no one can see unless they go up your stairs. Something like this can be seen, even in a semi-open concept plan, from the main level and will be the conversation starter for the night. Be bold when it comes to the bones of your home. If you set the bar with your walls in bright, lively, or serene fashions, the rest of your décor will follow. Your guests will love the atmosphere you have created because they will feel how much you love being there. Chris Garrett is a large format printing expert and online publisher for the customized wallpaper expert http://www.megaprint.com/wallpaper.php. 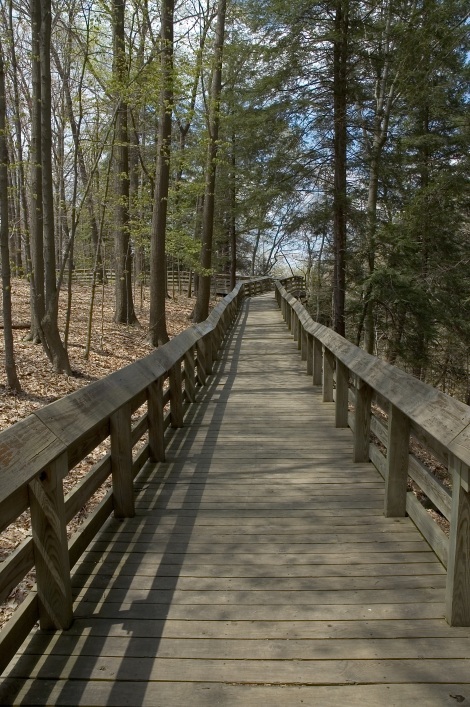 He frequently blogs on the topics of design, printing, and photography. Have you Considered Vintage Decor For Your Home? I admit, Vintage style decor is not generally my favored style. That said, there are wonderful re-purposed, unique decorating elements to be found in this genre. Just take a look at what a Google search of images for Vintage Decor shows. A search on Pinterest or Etsy also yield some very interesting results. Just when you thought you had seen the last of the flower power wall-paper and funky brass wall art from eras gone by, vintage-inspired design has become a popular theme again. As the saying goes “old always becomes new again” and this is certainly true when it comes to the world of home interior design. So, it’s time to start digging through your grandmother’s attic to find some kitschy pieces to add to your home this year. Here are some fun ideas for bringing a touch of the vintage feel into your home. Love to entertain guests ala “Mad Men” style? Head for your nearest thrift stores and flea markets for some serious sixties finds. Start with a redesign of your seating arrangement with a comfortable couch with glamorous wooden legs, paired with two vintage Eames-era chairs. Cover with plenty of class in velvets, rich brocades, and patterned fabrics. Go for hues of gold, green, orange and browns for a vintage touch. Create throw pillows and pinched window drapes in coordinating fabrics and textures. Use impactful artwork on walls, and include at least one large piece of metal art or a mirror painted in your favorite metallic shade. Add a vintage bar set to your coffee table or a console table nearby. If your favorite space in your home happens to be the kitchen, then a vintage-y kitchen should be your starting point as you decorate. Try taking cues from your Great-aunt Betty’s kitchen with plenty of bright colors inspired by the outdoors. Grab a classic Formica top and metal leg table, and vinyl seat chairs from a local garage sale or vintage shop. Pick your favorite rooster canisters for storing coffee and other staples. Add a big metal wall clock in a flower or star shape. Upgrade your kitchen cabinets with wooden painted doors, and add some counter top paint in a bright shade of orange or green. Then get yourself vintage inspired appliances to grace counter tops. The vintage bedroom is a romantic and soft place for privacy anytime you need to unwind. Make yours stand out with a large upholstered headboard, with matching drapes in glamorous silk brocade. If your walls need it, add a fresh coat of a soft pastel color to them. Think powder pink, light violet or teal. Then add a chenille bedspread and pillows to your bed. Replace dressers and night tables with retro-look pieces that give the look of your parents’ bedroom from the 50s. Add lamps that are old fashioned with paper shades, and an Electrolux alarm clock for the final touch. Love to spend hours in the tub soaking with a good novel from Sylvia Plath? Then a vintage bathroom should be on your list. The vintage bathroom usually starts with tile”¦lots of it. Add tiles to your bathroom vanity back-splash and around your tub and commode “” any color will do but pink or yellow is a favorite. Replace your old shower with an over sized cast iron bathtub, complete with ceiling hanging shower curtains. Add crisp cotton window curtains and monogrammed towels to complete the look. Your vintage home can start with little things that you collect over time, or you can go big with a complete home overhaul. 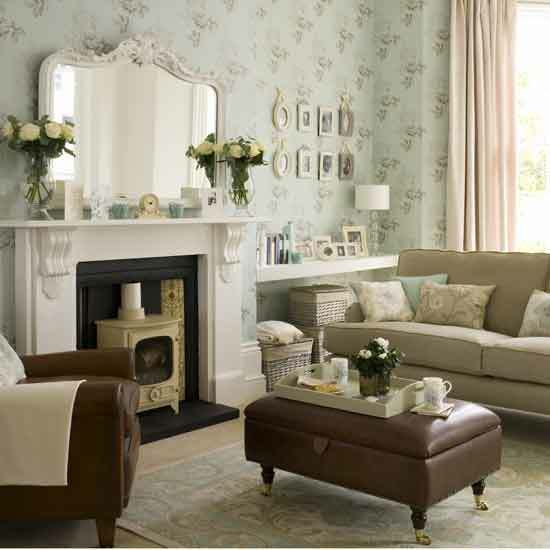 Remember, to have fun and add charm and personality to your home with the vintage look. About the Author: When she’s not goggling over her new vintage-styled remodeled kitchen, Jillian Watkinson is sitting out in her backyard hammock enjoying a short nap or a lemonade. Is Clutter an Avenue to Creativity? Here is the guest post. So if it is too hot outside, start cleaning out your closets and think off the ‘hanger’. Look through your closets and cabinets for things you might want to put on display. For instance, that vintage electric guitar you’ve had stowed away in your bedroom closet for ages would look pretty cool on your living room wall. Additionally, your stainless steel pots and pans would look great on a hanging rack in your kitchen. Pick out a few items from each of your closets and a couple of items from your cabinets that you want to put up on display in your home. You’ll need to get some attractive racks, hooks, and shelves to use to put up displays throughout your home. You can get these at most home improvement stores, and they’re usually pretty easy to put up with yourself (if you’re adept at following written instructions). 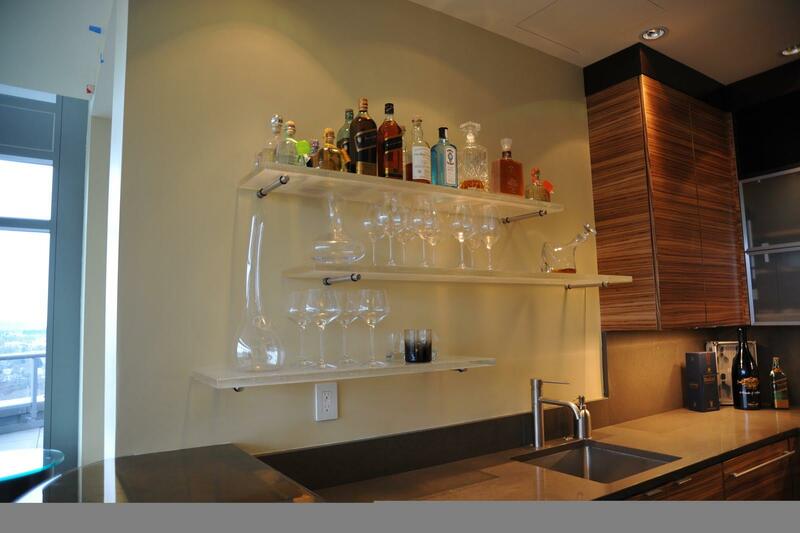 Additionally, you may want to purchase attractive racks for your kitchen and shelved furniture at a department store. Take your time searching for attractive and sturdy racks, hooks, shelves, and other furniture for your displays. Remember that details always matter in the realm of interior design. Covering your walls with displays isn’t necessarily the best strategy. Putting up creative displays is a great way to clear out some extra space in your closets and cabinets. However, it’s not the ultimate solution to clutter in those storage areas of your home. 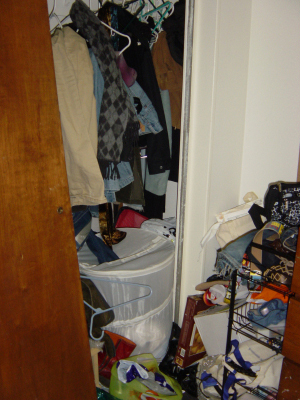 Regular organization and getting rid of excess belongings is the best way to de-clutter your closets and cabinets. 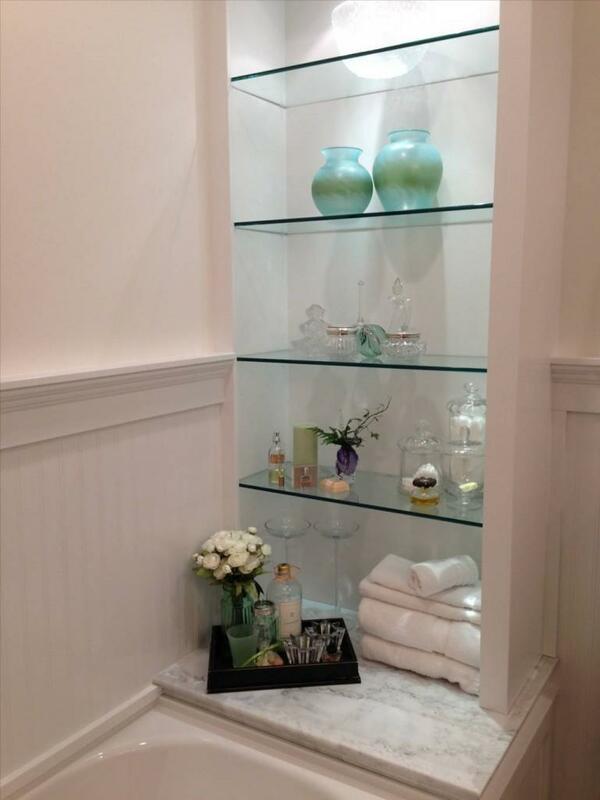 Putting up a few, tasteful displays throughout your home should only be a part of your overall organization efforts.